It's back to school time and we only had to wake up one of the children this morning. You can guess which one. Anyway, everyone was on time for the bus since it was fifteen minutes late due to some mechanical issues. 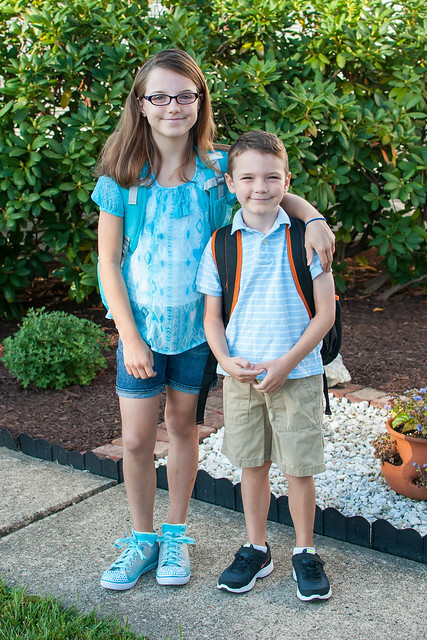 Evelyn is starting fourth grade and Brandon is headed to Kindergarten.